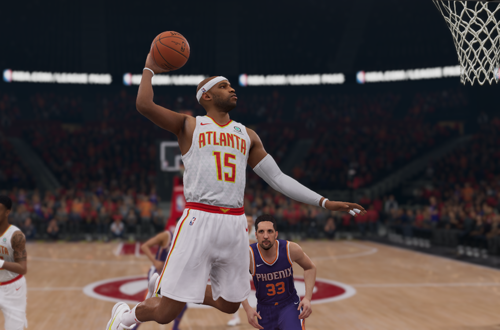 Home | Monday Tip-Off: What Actually Ruins Basketball Video Games? So, what does actually ruin basketball video games for most of us? Let’s begin with the gameplay. Before we get into the nuts and bolts of realistic stats and strategy, one of the most important factors in determining the quality of gameplay is how a game feels on the sticks; how polished, responsive, and intuitive the controls are. If the controls feel sluggish or stiff with an input delay that makes it difficult to move your player freely around the court, it’s an immediate strike against the game. Clunky and contrived controller configurations are a problem too, and even worse when combined with stiff and sluggish movement. Even if you can get used to it, it’s usually not fun. Assuming that the controls aren’t problematic (or that you can learn to tolerate them), the next potential stumbling block is how well the game represents basketball. When it comes to arcade basketball video games, this is often less of an issue. After all, it’s the over-the-top action that makes that style of hoops game fun. If we’re talking about a 5v5 game that is attempting to represent the NBA in a more realistic manner, we’re going to notice and be bothered by discrepancies. This includes players doing things they shouldn’t be doing, a lack of real strategies, unrealistic or very unlikely stats and results, and basically anything that makes a game not feel sim enough. As I noted however, everyone has differing tastes and expectations, so some gamers are fine with the gameplay experience taking a few liberties here and there when it comes to realism. When it comes to the quirks of game design, most of us are likely on the same page. Issues here include unbalanced gameplay (e.g. builds that are either overpowered or underpowered, the CPU having superhuman abilities, etc), canned moments where it feels like it doesn’t matter what we do, artificial difficulty, dice roll mechanics, and so on. Our frustration is often compounded these days by the official patches and tuning tweaks that alter the experience for the worse, post-release. Noticeable problems with the visual aspects of basketball video games can also be a big deal. Once again, standards and expectations do differ, and I’ll admit that I can sometimes be more forgiving because I’ve been playing basketball video games since the days before players had their own proper face textures and models. If I’m enjoying the gameplay, a colour that’s slightly off, or a face that isn’t entirely accurate, probably isn’t going to ruin my experience. However, they are legitimate problems in an era where accuracy is the name of the game, and if too many visual details are off, it can be immersion-breaking. Quality and quantity of animations is also an issue here. The longevity of all basketball video games ultimately comes from their modes. Even if their gameplay is excellent – or at least, satisfactory – it’s imperative that games are able to keep us hooked with an in-depth experience. 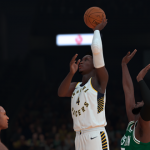 One only needs to look at the setbacks EA Sports suffered with NBA Live 06 on Xbox 360, or the criticism that is levelled at recent NBA Live titles. In 2019, it’s no longer sufficient to just include all the NBA teams and a couple of basic modes of play. 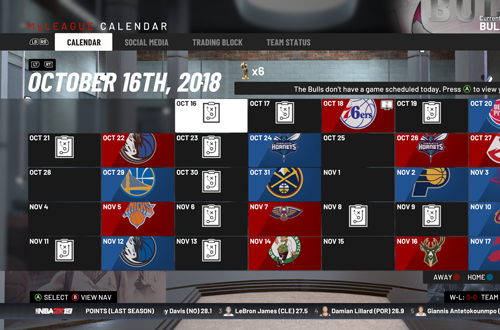 A detailed representation of the NBA through franchise and career modes, as well as engaging team building modes, is essential. Shallow modes can ruin a hoops game that is otherwise quite solid. Indeed, the lack of any features that have become staples of basketball video games is going to be a notable detriment. If there’s a feature that was common twenty years ago and still relevant and useful today, its absence will be felt, and can drag down a game. A release whose features and content don’t justify the price tag will be disappointing, even if the gameplay is up to scratch. Basketball video games have come such a long way as far as having rich, deep experiences and enjoyable bonus content, that they are no longer considered luxuries or going above and beyond; they’re expected. It may be setting the bar high, but such is the price of decades of development. General stability, from reliable online play to the presence of game-breaking bugs, to the aforementioned patches and tweaks that alter the gameplay experience, are also a major concern. The most fun and ambitious online modes are useless if the servers are unreliable and the gameplay laggy. Career and franchise modes are far less enjoyable if save files can be corrupted, or otherwise severely affected by bugs. Many of us can attest to the frustration of enjoying a game at launch, only to feel far less satisfied with it after a few patches. Getting the right balance between online and offline play is a challenge that developers are still tackling. If these are the things that ruin basketball video games, then what are some of the minor complaints that get blown out of proportion? Pedantic details like the use of the word “City” when some teams use states in their name. Menu colours, except when there is a readability issue. The songs on the soundtrack and choice of cover player are rather inconsequential in the grand scheme of things. A player’s Overall Rating of 85 that you feel should be 86, especially with official roster updates and roster editing functions (to say nothing of the overblown importance of Overall Ratings). If these are the worst issues in any given game, everything else must be rather outstanding! That’s not to say that minor issues shouldn’t be mentioned. 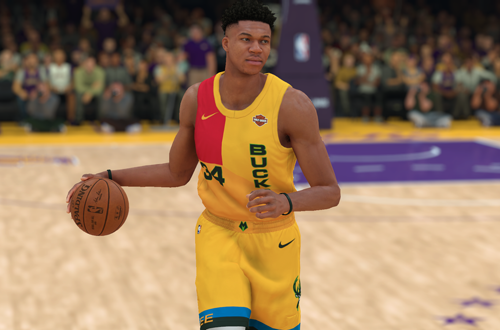 As we compile our NBA Live 20 and NBA 2K20 Wishlists, it’s important to note everything we’d like to see addressed, big and small. Furthermore, when discussing the games with each other, we should keep in mind that we all have our own preferences and opinions that we’re entitled to. However, it’s also important that we keep everything in perspective, and prioritise feedback. A serious gameplay flaw or disappointing mode is understandably a letdown for any basketball gamer. Conversely, if you’re raging about a game being ruined by the choice of cover player, you may just be overreacting a little.